That TV Guy services the Northern Beaches suburbs of Palm Beach, Whale Beach, Avalon, Clareville, Newport, Mona Vale, Bayview, Bilgola, Church Point, Narrabeen, Warriewood, Elanora, Ingleside, Collaroy, Cromer, Dee Why, Wheeler Heights, Brookvale, Frenchs Forest, Foreville, Belrose, Beacon Hill, Harbord, Freshwater, Manly, Queenscliff, Seaforth, Clontarf, Fairlight, Allambie, Killarney, Narraweena, Oxford Falls, Davidson, Terrey Hills. 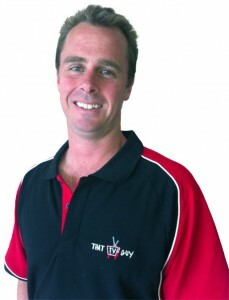 That TV Guy services the Upper North Shore suburbs of Killara, Gordon, Turramurra, Lindfield, Pymble, Roseville, St Ives, Wahroonga, Warrawee, Hornsby and Waitara. That TV Guy services the Lower North Shore suburbs of Artarmon, Chatswood, Cremorne, Crows Nest, Kirribilli, Longeville, McMahons Point, Milsons Point, Mosman, Neutral Bay, North Sydney, Northbridge, Waverton, Willoughby, Wollstonecraft, Balmoral and Clifton Gardens.